We look forward seeing you at our stand at SPACE, Rennes France 2019. We look forward seeing you at our stand H100.3231 at VIV Bitech, Bangkok 2019. We look forward to seeing you at IPPE in Atlanta, USA - February 12-14 2019. Come and meet us hall C booth 11814. Come meet us at EuroTier Hannover from November 13 to 16, 2018, Hall 17 booth A39. A range of our innovative products will be on show. We look forward to seeing you at SPACE - France, September 11-14, hall 2-3 booth A12. We look forward to seeing you at VIV in Jaarbeurs Utrecht, the Netherlands, June 20-22 2018. You find us at booth 11E060, Hall 11. 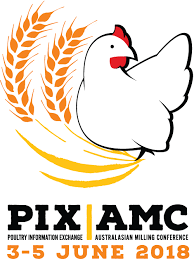 We look forward to seeing you at PIX AMC, Brisbane Australia. 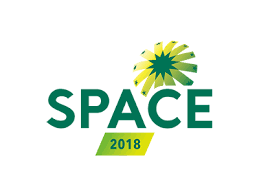 You will find us in hall foyer 1, booth number 75 - June 3-5 2018, where we will be exhibiting with our dealer Pace systems. We look forward to seeing you at PPPE, Gold Coast Convention and Exhibition Centre - Brisbane, Australia, May 30-31 2018, where we will be exhibiting with our dealer Pace systems. Come and meet us at Pigs & Poultry, booth Number 244, Stoneleigh Warwickshire, UK - May 15-16 2018. We will be exhibiting wirh our dealer BPS equipment. Come and meet us at the AVICOLA Conference in Buenos Aires, Argentina May 8-10th 2018, where we will be exhibiting with our dealer 3K Pig Quality. 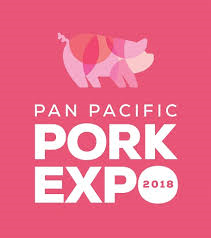 You'll find us at booth T-08. Come and meet us at booth 3009 at the MJBizConference in Las Vegas, USA, November 15-17 2017. DACS attend the AGRO ANIMAL SHOW 2015. February 11 -13, 2015 - Kiev, Ukraine. Meet us there.